3rd Saturday of each month, starting at 10:30 a.m.
Our Saturday Sampler Program will take place on the third Saturday of each month, starting June 16, 2018. This program will be a great opportunity to make new quilting friends and expand your quilting horizons! Registration will start Monday May 14, 2018 and will end on Friday June 15, 2018. 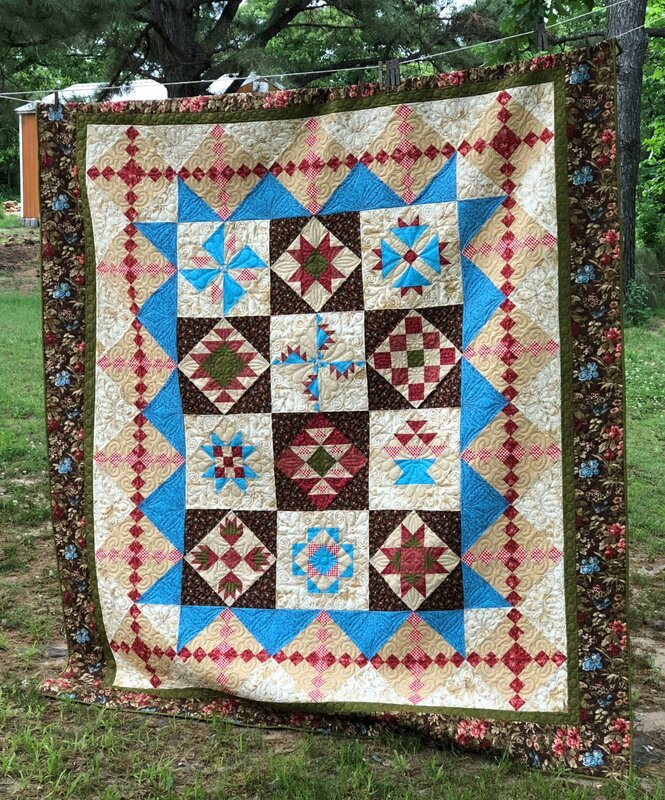 All you need to do is come in to Quilt Nuts or sign-up online. The sign-up fee is $10. Each month we will give a short presentation and then hand out block kits, if you bring your completed block from the previous month, you will receive your next block kit FREE! Finishing kits will be available and will be spread out over the course of the program. You must bring your completed block with you in order to receive the next block for free. If you are not able to attend for some reason or were not able to complete your block from the previous month, you will have the option of purchasing the next block for $5. All of the 12 blocks are unique and are constructed using traditional piecing methods. We hope you will join us for this fun program!